Welcome to the Key City Singalong. 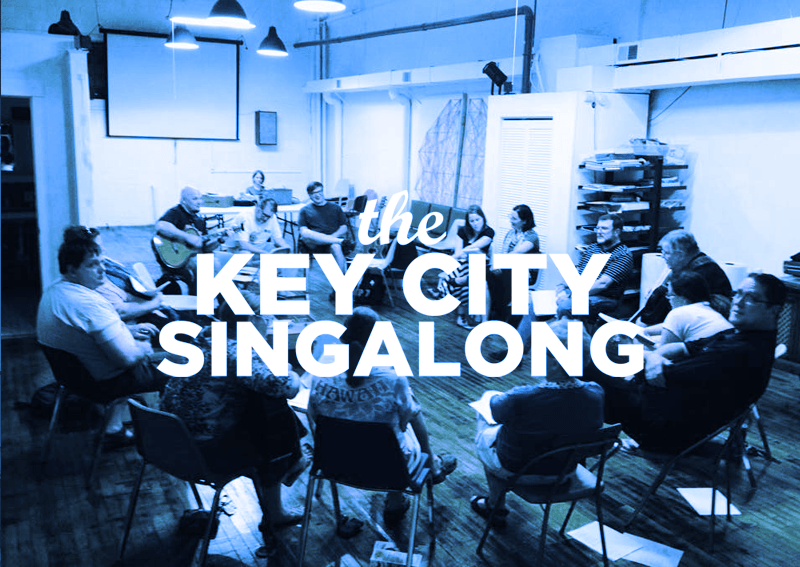 The Key City Singalong is a monthly gathering of people in the Kankakee area who love to sing, accompanied by traditional Folk instruments such as guitar, banjo, harmonica, fiddle, ukulele, tin whistle and such. We won’t turn up our noses at any other instrument you’d like to bring along with you. The Singalong is a free, family friendly event for people of all ages. We’re on hold for the time being, with no gatherings planned at the moment. Keep an eye on this site for information about future sing alongs. Thanks to the folks at FEED and the Kankakee Public Library for their support.